New rules are coming for drones. A lot of kids might be getting them as gifts soon. The federal government will require that the aircraft be registered. This is spurred by numerous reports of drones flying near jets and airports. Registration will make it easier to identify owners. And it should make it easier to educate amateur aviators. That includes children. The move was announced by the Federal Aviation Administration. It comes at a time when the agency is getting more than 100 reports per month. The reports are about drones flying near manned aircraft. The FAA prohibits drones and model airplanes from flying higher than 400 feet. They also cannot fly within 5 miles of an airport. The requirement covers aircraft weighing from more than a half pound up to 55 pounds. It also includes any payload such as a camera. 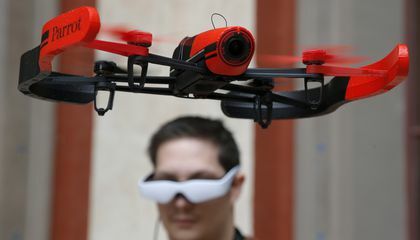 Drone owners who are 13 and older will have to register on an FAA website. It will be available Dec. 21. The FAA expects parents to register for younger children. Registration will cost $5. It's good for three years. Then it must be renewed. The fee will be waived for the first 30 days. That is until Jan. 20. Owners will have to mark aircraft with an identification number. Recreational fliers can register as many aircraft as they want. They can use the same registration number for each. Most people who fly drones and model aircraft have little aviation experience. But they become pilots as soon as they start to fly. This is according to Deputy FAA Administrator Michael Whitaker. "They have the responsibility to fly safely. And there are rules and regulations that apply to them," he said. Those who got drones before Dec. 21 must register by Feb. 19. People who buy them later also must register. They need to do it before their first outdoor flight. The FAA said it used some of the suggestions from a task force. 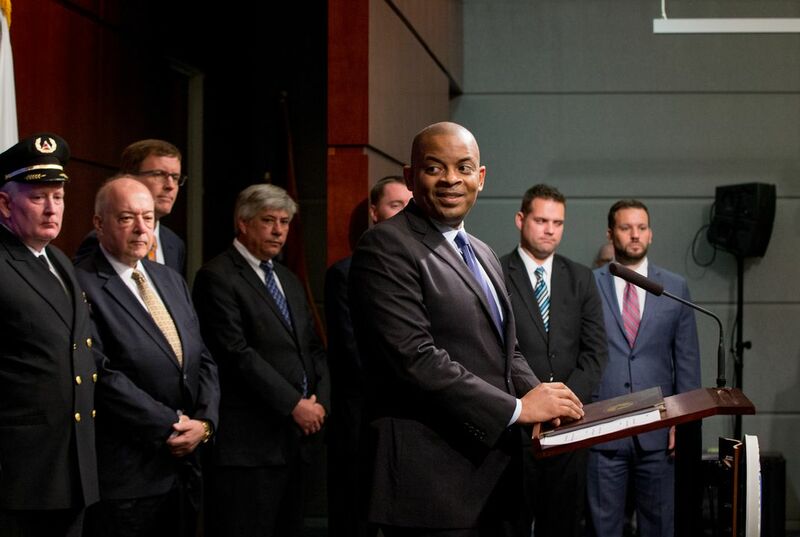 That group was appointed by Transportation Secretary Anthony Foxx. The move disappointed a large group representing model airplane users. The Academy of Model Aeronautics is based in Muncie, Indiana. It said registration is an "unnecessary burden for our more than 185,000 members." The organization pointed out that most have been operating safely for decades. Whitaker agreed that the law prohibits new rules. But the FAA has the authority to register the aircraft, he said. The requirement won support from others. The support included the Air Line Pilots Association. They said it is a tool to help make sure drone owners share the skies safely with airplanes. The association would like to see registration required when unmanned aircraft are sold. Government and industry officials have expressed concern that drones, like birds, could be sucked into an aircraft engine. The drones could smash a cockpit windshield or damage a critical aircraft surface area, the officials say. And it could cause a crash, they said. this article was very interesting because there is a number of people that own drones and they are flying at planes. also how the pilots of the planes are standing up and saying they are causing problems. I think it is good that the pilots are standing up against it. I found the fact that any drone that is over half a pound or that carries a camera has to be registered interesting. I think it is also going be difficult to control because many people have already bought the drones and may not know about the change in the law. For example all the drones that were already sold in 2015. I think that it would be good to register it when you buy it so people don't have to worry about doing it at home. I think that the FAA shouldn't make you register your drone. One reason why I think this is because some people don't have internet, so they can't register. Another reason why I think this is because some people might not hear about this and they'll get in trouble for what they think is nothing. I think the registration will help improve safety for airplanes and the drone. If the drone is flying too close to an airport, it could get sucked into the engines. The airplane would probably crash, and the drone would be totaled. But, I also think it is unfair that EVERYBODY needs to register it. I have a drone, and I live 30 minutes away from a small airport. You don't NEED to go to an airport to fly unmanned aircraft. You can just go to a public field to fly it. In the text it says "The federal government will require that the aircraft be registered. This is spurred by numerous reports of drones flying near jets and airports." I find this fact very unfair. Just because a few people made this mistake does not mean you should ban it for everyone. I think registration will improve safety because it can track drones and sees if pilots are breaking the rules. This needs to happen because there have been too many close calls to crashing planes and helicopters. For safety reasons the FAA has prohibited drones from flying above 400 feet and 5 miles within an airport. This will ensure everyone´s safety. I definitely support them making people register for drones. I support this becasue, as they said in the text, drones are flying near airports and that is stopping flights because they can't fly up because the drone above them and they can't crash into it because it could make a whole in the airplane. Also, I support this because, the government can use the money to help improve our country, and they can put that money towards paying people to do scientific research that can solve big problems. Registration will help improve safety with drones because if you break the rules since the goverment has you address your name and your credit card. Also all drones are marked with a regestration number. That can make people scared that the goverment knows what you are doing with you drone and you might go to jail if you do something bad. Good job Jonathan I agree It can make people scared I should of put that In my response! Drones should be registered because in the article, it says they could get sucked into engines. I know for a fact that most drones don't have very good propellers to support them. They could easily get taken out of the sky by a plane. Smashing the windshield, is possible. The windows are strong enough to stand a direct hit when not moving, but at 500 miles per hour it would be like a cannonball.